Plenty of people will make plenty of money as a result of the fast-approaching Anthony Joshua-Wladimir Klitschko heavyweight title fight showdown. 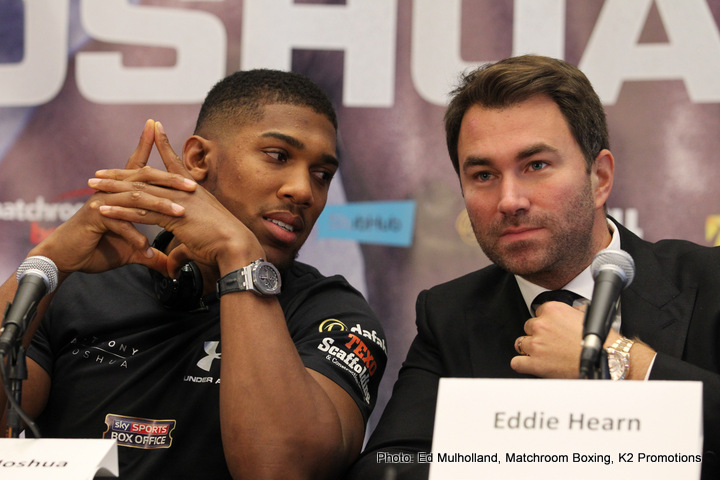 The two fighters will make millions, as will the promoters; while re-sale ticket outlets are aiming incredibly high. The fight, a complete sell-out at Wembley with a staggering, record setting 90,000 tickets all gone, will of course go down on April 29, and fans are hoping for a great fight. Seen by many as a 50/50 match-up, the big winner could be the money men. A ringside, V.I.P ticket from Viagogo can be yours for a whopping £35,199,12. The same ticket can be bought from StubHub for a still utterly ludicrous £17,926,50. A “cheap” seat is going for £115 on StubHub and for £129.99 on Seatwave. Many are justified in claiming that NO FIGHT is worth such a lofty price tag, and who on earth could possibly disagree with such thinking? The one good thing this greed shows us, however, is the fact that boxing really is booming right now; in the UK especially. Too many times we’ve been forced to listen to the tired, old, ‘boxing is dying’ rubbish. Not a chance. This fight and it’s monetary value more than proves the sport is thriving. Let’s just hope that the paying fans, the most important people involved aside from the two fighters, do not get ripped off with a dull or event-less fight. With this kind of money changing hands, this fight needs to be a genuine Super-Fight; not merely a super-rich fight. With less than a month to go, both men are already looking to be in absolutely fantastic physical condition, as one would fully expect from two pros such as these. But as the former champ and upcoming challenger’s brother Vitali Klitschko recently stated; this fight will not come down to mere muscles. The mental condition of the two fighters will prove paramount.